A row over patents on diabetes and asthma drugs has produced a deadlock in talks to improve access to medicines in the developing world. The Department of Health has started the first of two multi-million pound court actions against alleged cartels of generic drug manufacturers. 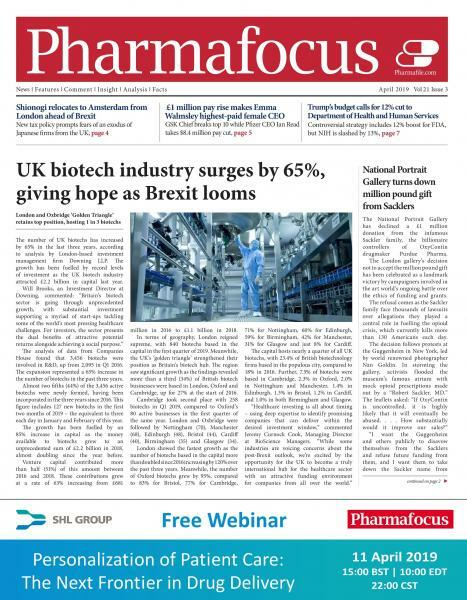 A multi-million pound bidding war for Oxford GlycoSciences has broken out between UK biotech rivals Celltech and Cambridge Antibody Technology. Bayer has refuted allegations that it concealed serious side-effects of its statin Lipobay before it was withdrawn in July 2001. SkyePharma long-term profitability was brought a step closer after it finally secured licensing deals for two of its lead products.